The very last thing a momma wants on the first day of summer is for her kiddo to come down with a cold. And that's exactly what Lily did yesterday. My poor girl is snotty and coughing, which has put a huge dent into our plan to go to the zoo's Twilight Thursday tonight with Lily's little friend, as well as our weekend plans - and if this cold lasts as long as the previous one, our plans for the next 2-3 weeks are shot. There should be a cosmic law against summer colds. It's just not right to be stuck feeling like crap with the weather is so beautiful. But the bright side is that instead of being cooped up indoors with gloomy weather while she feels sicky, she can play outside and enjoy the sunshine, and even go swimming since our pool is at least 80 degrees and feels like a giant bath. That should make feeling sick a little less sucky. I guess. That's what I'm telling myself anyway. Now, off to find the snot sucker... wish me luck! 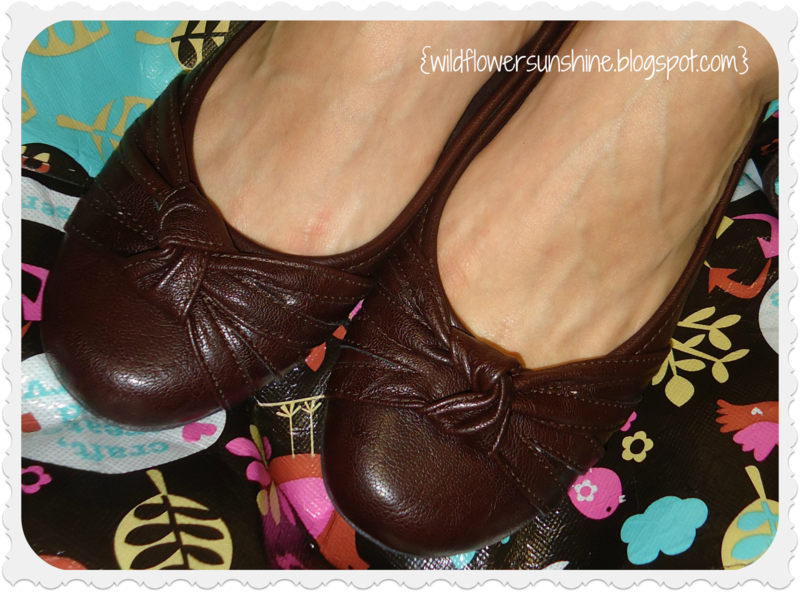 Ballet Flats :: how did I NOT buy a pair of these before now? Apparently I missed the bus with the ballet flat phenomenon. In my defense, I rarely change up my shoe style because my forays into unknown footwear territory usually end with band-aids on my Achilles, blisters on my soles or with not-so-cute-after-all/fugly shoes collecting dust at the bottom of my closet. So I essentially ignored the ballet flats because I didn't want to add yet another uncomfortable or not-my-style pair of shoes to my shoe graveyard. I'll keep on truckin' with my flip flops, wedges and tennies, thank-you-very-much. But I have to thank my friends Sarah and Blanca for opening my eyes to how AMAZING ballet flats really are. Sarah recently reviewed a pair of handmade leather ballet flats, and when she mentioned the words "comfortable," "feminine" and "chasing a toddler" I immediately wanted these magically versatile shoes! Yes please! But because I have about 2 brain cells that work these days and rarely have time to go shoe shopping anymore, I forgot to look for a pair to call my own. But then my friend Blanca came to work wearing these fabulous ballet flats in a lovely blush color that is no longer available on the site - good thing too cause I didn't want to be tempted to drop $90 on them! She let me try them on and I immediately fell in love - cute, comfortable, and work-appropriate to boot! My inner shoe fiend took over those 2 brain cells and ballet flats have been all I have thought about since. I'm so excited! I can wear these to work, to the store, to a party, in the backyard while chasing Lily around... they are brilliant! They are cute and style-neutral, and can be worn with anything from jeans to dresses! And the best part - they are COMFORTABLE! I've been wearing them all day and haven't had one hint of pain on my Achilles. Talk about the most functional shoe on the planet! Moral of the story: if you are a busy mom who needs comfortable and versatile footwear and you do not have ballet flats, please run out and get a pair RIGHT NOW! You won't regret it. You're welcome. 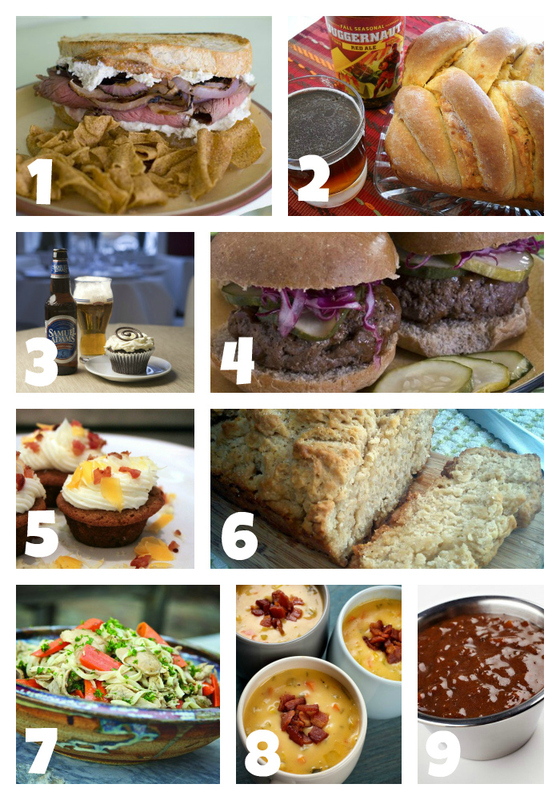 My local newspaper, the Sacramento Bee, published a list of AWESOME BEER RECIPES for Father's Day! My hubby and I are both SO excited about these recipes! To make it easier to get to the recipes without going through the Bee's slideshow, here are the direct links and the photos that accompany them. Don't those photos and recipe titles just make your mouth water?! I absolutely can't wait to try these recipes! Enjoy, and cheers!